We are proud to introduce our AB&T Mobile Banking App. To better assist you with any questions you have concerning our app, we have created this FAQ. 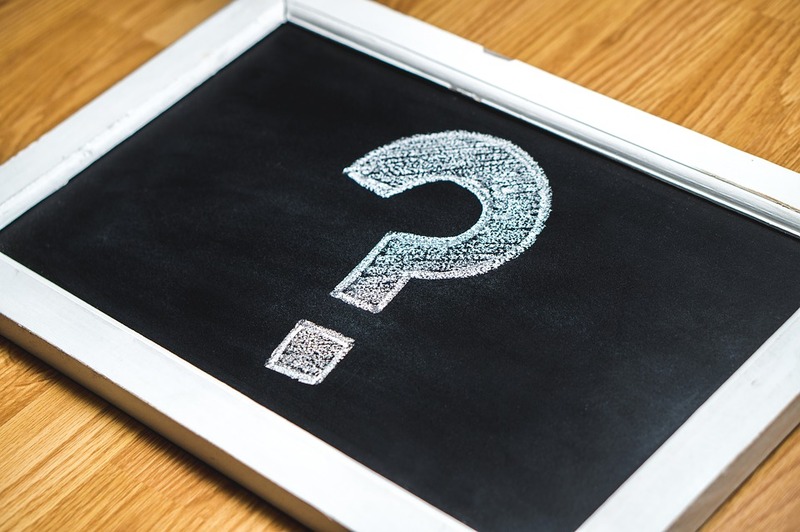 We realize that this FAQ may not cover all of the questions or concerns that you may have about this service. If this occurs, please feel free to contact us at 270-796-8444 or stop by any of our convenient locations. We will be glad to help! Mobile banking is an extension of online banking which enables you to conduct basic banking transactions (balance inquiry, account history, funds transfer) via a mobile device. Enhanced features of the new American Bank & Trust Mobile App include Mobile Check Deposit and Mobile Bill Pay. Mobile banking options include Text Banking, Mobile WAP Browser, and a downloadable Mobile Application. Which devices and operating systems are supported by mobile banking? Which mobile banking product should I use? The American Bank & Trust Mobile App can be downloaded from your official App Store (Apple or Google Play). The free mobile application offers immediate and direct access to your AB&T accounts, and allows you to view balances and account history, transfer funds, pay bills, and make deposits with your Apple or Android mobile device. The Mobile WAP Browser allows you to enjoy the same features of the mobile app (with exception of Mobile Check Deposit) without having to download anything to your mobile phone. The mobile browser is accessed through a URL. Text Banking facilitates a rapid, dynamic real-time exchange of instant information pertaining to account balances and limited transaction history. Text banking utilizes a SMS short code and a variety of commands and shortcuts to request and send information. Text banking does not require a smartphone. Can I use more than one type of mobile banking? Of course! You may use one, two, or all three mobile banking products depending upon what type of mobile device you have and what you are wishing to accomplish. Who can use American Bank & Trust Mobile Banking? Any personal banking customer of American Bank & Trust that has an open checking, savings, or loan account can sign up for mobile banking. If you are not a current AB&T online banking customer, you will need to enroll in online banking before you can enroll in mobile banking. Are businesses allowed to use mobile banking? No. At this time, mobile banking is designed for consumer purposes only and does not take into consideration all of the intricacies of business banking. 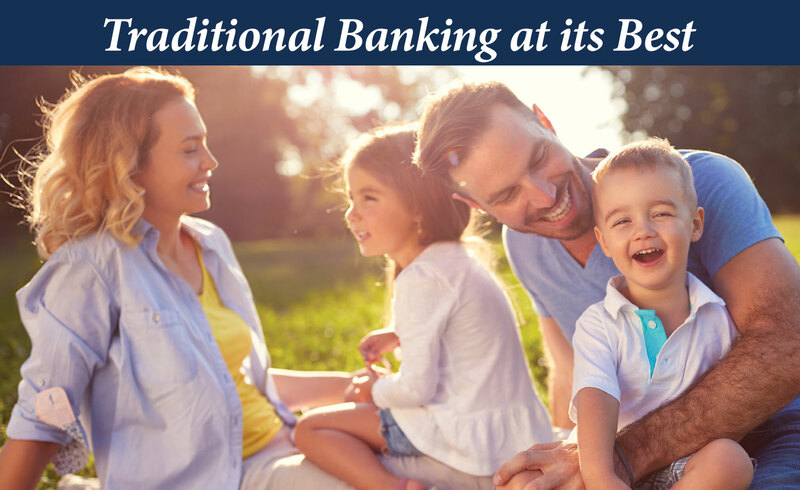 If you are not currently enrolled in AB&T online banking, please enroll today to take advantage of the many options available for our business customers. Are there any fees associated with mobile banking? American Bank & Trust does not charge fees for the use of its mobile banking products; however, in the event that a transfer or bill payment results in an account being overdrawn, or if a deposited check is returned by the bank of first deposit, additional fees may be applied at the account level. We also recommend that you check with your wireless service provider to see if any connectivity or usage rates may apply. Can I have account alerts sent to my mobile phone? Yes. You must enroll your mobile phone number through online banking to receive text alerts. If you have not already done so, log in to your online banking account and go to the “User Services” or “Notify Me Alerts” tab. Click on “Change Contact Information” and then click on the “+” next to “Phone Numbers.” Add or update your mobile phone number. You will be prompted to enroll your mobile number for receiving text alerts on the next screen. After clicking the link, you will receive a registration code via SMS. Type the code into the box on the online banking screen and proceed to “Notify Me Alerts” to choose the alerts you wish to receive. Can I use mobile banking outside the U.S.? If you are traveling outside of the U.S. and have internet access through your wireless service provider, you should be able to use your previously downloaded mobile app. We recommend that you check with your wireless service provider to see if any connectivity or usage rates may apply. You will not be able to download the app outside of the U.S.
What if I have additional questions about mobile banking? If you have additional questions, please contact mobile banking support at 270-796-8444. Go to the official app store for your device (Apple or Google Play) and search for “AB&T Bowling Green Mobile.” Download and install the app to your mobile device. Once you have downloaded and installed the app from the official app store for your device, you will use your American Bank & Trust online banking Access ID and Passcode to log in. If you are not currently enrolled in online banking, click here to Enroll. You can also enroll by following the enrollment link located on the sign in screen of your mobile app. After enrolling in online banking, you can log in to the app and complete the mobile enrollment process. You will enroll in mobile banking the first time you log in to the app on your mobile phone. Log in with your current online banking Access ID and Passcode. The first time you log in, you will be prompted to answer your security question. Next, you will read and accept the Mobile Terms & Conditions. Finally, you will register your mobile phone number. This will complete the enrollment process. Can I enroll in mobile banking without downloading the mobile app? To use the mobile web browser rather than downloading the app, visit the following URL from your mobile device: https://mbanking.firstdata.com/wap/home/abtcbgky/en. You will log in with your current online banking Access ID and Passcode. The first time you log in, you will be prompted to answer your security question, accept the Mobile Terms & Conditions, and enroll your mobile phone number. Can I enroll in mobile banking without enrolling in online banking? No. You must be a registered online banking user to enroll in mobile banking. If you are not currently enrolled in online banking, click here to Enroll. You can also enroll by following the enrollment link located on the sign in screen of your mobile app. After enrolling in online banking, you can log in to the app or mobile web browser and complete the mobile enrollment process. Do I need to enroll again if I have already been a mobile banking user prior to August 2015? Yes. As of August 17, 2015 the old American Bank & Trust mobile app will no longer be supported. You will need to delete the old app and download and install the new app from the official app store for your device. Can I use my old mobile banking credentials on the new mobile banking app? Your mobile banking credentials will be the same as your online banking credentials, which may or may not be the same as what you have used previously for mobile banking. If you have forgotten your online banking Access ID you can call 270-796-8444 and ask for mobile banking support. If you know your Access ID, but have forgotten your Passcode, please click here to Reset your Passcode. How do I start using my mobile banking app? After you have installed the app and completed on-device enrollment, you will be taken to the accounts screen. From there, you can navigate to other functions within the app by tapping on the menu bar in the top left corner. For more information on how to use each function, tap the blue bar at the top of the screen. Tap the menu bar each time you wish to switch functions. Once I log in, which accounts will I see on my app? When you log in to the mobile app, you will see all of the accounts to which you have been assigned access in online banking. How do I add a new account to the mobile app? Can multiple people use the mobile banking app through the same device? Yes. After your Access ID has been registered to your device, others may log in to your app as a Guest User. Guest Users will be required to answer their security question and to accept the Mobile Terms & Conditions at each login. Preview and Bill Pay will not be enabled for Guest Users. What if I forget my Access ID or Passcode? If you have forgotten your Access ID, please call 270-796-8444 and ask for mobile banking support. If you know your Access ID, but have forgotten your Passcode, you can go to www.ambanking.com and click on “Forgot Your Passcode?” in the Online Banking Login box. You will be asked to provide your Access ID, Social Security Number, and Account Number. How many incorrect login attempts does it take to lock me out of the mobile banking app? You will be locked out of your account after three (3) incorrect login attempts. If you have been locked out of your account, please call 270-796-8444 and ask for mobile banking support. Business hours for mobile banking support are Monday-Friday, 8am-5pm. If you have forgotten your Passcode, you can go to www.ambanking.com and click on “Forgot Your Passcode?” in the Online Banking Login box. You will be asked to provide your Access ID, Social Security Number, and Account Number. What functions are available once I am registered and able to log on to the app? With the American Bank & Trust mobile app, you can view balances and account history, transfer funds, pay bills, deposit checks, and locate nearby branches and ATMs. Can I make loan payments using my mobile app? Yes, you can transfer funds from your checking or savings account to make a payment on your American Bank & Trust loan. You can also transfer to or from an AB&T line of credit. Can I pay my bills using my mobile app? Yes! Mobile bill pay is fully integrated with online banking bill pay. If you are a current AB&T bill pay customer, you will see your payees when you tap “Bill Pay” within the mobile app. If you are not set up for bill pay, you will receive a message that says “You are not authorized to use this service.” To request bill pay privileges, log in to your online banking account at www.ambanking.com. Go to “User Services” and click on “Add/View Account Services.” Choose the account(s) to which you wish to add bill pay privileges and click on “Edit” in the “Actions” drop-down menu. Click on “Basic with Bill Pay” and submit. New payees must be added in online banking before you will be able to pay bills with your mobile app. When will my transfer occur? Your transfer will occur on the same business day (Monday – Friday) that you have designated as the transfer date. Pending transactions will be immediately reflected in your balance and available for your use. How do I locate a nearby branch or ATM? In the mobile banking app, click on the box in the upper left-hand corner to bring up the Navigation Menu. Click on “Locations.” Bring up all locations by tapping the “find near me” symbol to the left of the search bar. Click on a location to receive detailed information or to get directions. Tap on the “settings” button to the right of the search bar to view sort between branch and ATM locations. You must have location services enabled on your mobile device to use this feature. What is PreView? How do I turn it on/off? PreView allows you to quickly and easily view account balances without logging into the app. To turn PreView on or off, log in to the mobile app and tap “Settings” on the menu bar. How will I be made aware of future updates? You will receive notification of updates to the AB&T mobile banking app in the same manner that you receive any other application updates on your mobile device. These updates will also be installed in the same manner by simply clicking on the update notice. Does the iPhone app work on an iPad or iPod Touch? Yes. The iPhone app is compatible with the iPad and the iPod Touch. Mobile Check Deposit enables you to use your smartphone’s camera and your mobile banking app to submit an image of your check for deposit into your AB&T checking or savings account. Log in to the mobile app and tap “Check Deposit” on the blue menu bar. Use your smartphone’s camera to take a photo of the front and back of the check. Next, enter the amount, choose the deposit account, and confirm the email address to which your receipt will be sent. How do I get the best image of my check using Mobile Check Deposit? To get the best image, lay your check flat on a solid, dark surface in a well-lit area. Hold your phone directly above the check (not at an angle). When photographing the check, use the four corner guidelines on your screen to line up the check, while staying within the grid. Do I need to sign the back of my check? Checks must be endorsed with your signature and “for mobile deposit only.” Checks that are not endorsed properly will be rejected. In most cases, the deposit may be resubmitted with proper endorsement. What is the cut-off time for Mobile Check Deposits? The business day cut-off time for mobile check deposit is 4pm CT. Items submitted after 4pm will be considered received on the next business day. When is my deposit finalized? After your mobile check deposit has been submitted successfully, you will receive a confirmation email. After your deposit has been reviewed by the bank, you will receive a second email letting you know whether your deposit has been approved, adjusted, or rejected. If your deposit has been submitted on a business day, prior to the 4pm cut-off, the deposit will be credited to your account on the following day. Our general policy is to make funds available to you on the first business day after the day we receive your deposit. Business day cut-off time for mobile check deposits is 4pm CT. Items submitted after this time will be considered received on the following business day. For determining the availability of your deposits, every day is a business day, except for Saturdays, Sundays and Federal holidays. Accepted items include personal, payroll, and government-issued checks made payable to the owner of the account into which they are being deposited. Non-negotiable items and checks made payable to a business will not be allowed, unless the check is deposited into a business account owned by a sole proprietor. What should I do with my check after I’ve deposited it? Keep your check in a secure location for at least 10 days. After waiting 10 days and verifying that the check has posted to your account, please securely destroy the check. Are there limits for Mobile Check Deposit? Yes. If you find that your deposit limit is restricting you from using the product, please contact mobile banking support at 270-796-8444 to discuss what other options may be available. Is there a limit to the number of items I can deposit? No. You can deposit an unlimited number of items, as long as you have not exceeded the daily dollar limit. Why can I not make a deposit into my account? If you do not have access to mobile check deposit, you will receive the following message when you attempt to make a deposit: “You have not been authorized to use this service.” If your daily limit has been exceeded, you may not be able to make your deposit until the next business day. For further questions, please contact mobile banking support at 270-796-8444. How much does it cost to use Mobile Check Deposit? Currently, there is no usage fee for mobile check deposit. Account-related fees, as listed on our Fee Schedule, still apply. Is Mobile Check Deposit available through the mobile web browser? No. Mobile Check Deposit is only available through the mobile banking app. How do I access the mobile web browser? What functions are available once I am registered and able to log in to the mobile web browser? The mobile web browser offers the same functions as the mobile banking app, with exception of Mobile Check Deposit and PreView. You will be able to view account balances and transaction history, transfer funds, pay bills, and locate nearby branches and ATMs. Can I pay my bills using the mobile web browser? Yes! Mobile bill pay is fully integrated with online banking bill pay. If you are a current AB&T bill pay customer, you will see your payees when you tap “Bill Pay” within the mobile web browser. If you are not set up for bill pay, you will receive a message that says “You are not authorized to use this service.” To request bill pay privileges, log in to your online banking account at www.ambanking.com. Go to “User Services” and click on “Add/View Account Services.” Choose the account(s) to which you wish to add bill pay privileges and click on “Edit” in the “Actions” drop-down menu. Click on “Basic with Bill Pay” and submit. New payees must be added in online banking before you will be able to pay bills through the mobile web browser. Can I deposit checks using the mobile web browser? No. Mobile Check Deposit is available within the mobile banking app only. 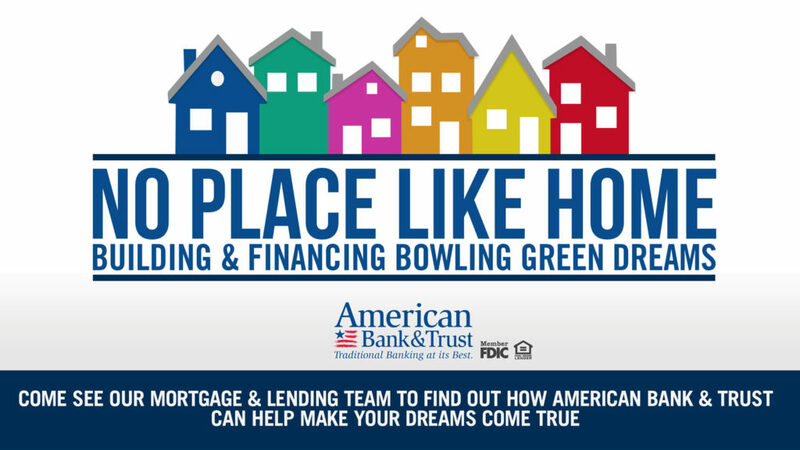 To download the mobile banking app, go to the official app store for your device (Apple or Google Play) and search for “AB&T Bowling Green Mobile.” Download and install the app to your mobile device.